Master Fluid Solutions (previously known as Master Chemical Solutions) is one of our most trusted partners at Rotem. We are the original Canadian distributor for Master Fluid Solutions and for over 50 years we have supplied our customers in the GTA and surrounding area with high quality metalworking fluids. All of our coolant customers enjoy free coolant testing at our onsite lab with no charge reports. 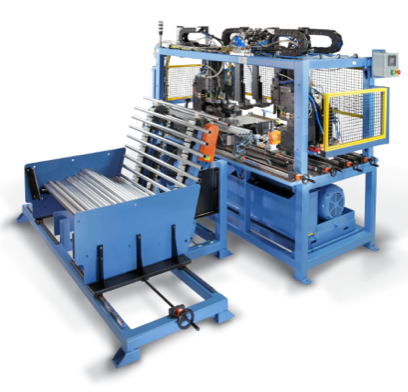 Master Fluid provides cutting edge and unique solutions to metalworking processes. Whether your shop is involved in aerospace, automotive, medical, bearings, fabrication or energy, we have a Master Fluid solution for you. Known around the world for superior performance, their metalworking fluids meet the demands of even the most specialized industries. We supply a number of popular industrial fluid lines by Master Fluid Solutions, including TRIM, Master STAGES, and XYBEX. We recently began carrying their new economy Master Fluid CoolPAK line of fluids. Whatever your application, Rotem can help you find the Master Fluid Solutions product that’s right for you. If you’re interested in switching industrial fluids, Rotem can help you navigate the process. With so many options to choose from depending on your unique needs, Rotem can consult with you to help determine the best replacement for your current industrial fluid. Give us some information on the fluids you’re currently using and we can find a solution that will provide more efficient and effective results for your shop. We can identify opportunities that your current metalworking or industrial fluid may be lacking. No two shops or work spaces are the same and at Rotem, we are dedicated to finding you the best solution. There are always opportunities for improvement and our goal is to always find ways to progress and achieve manufacturing and business goals more smoothly and help control your costs. If you’re looking for reliable industrial fluids, contact Rotem. No matter what type metal working fluid you’re looking for, Rotem and Master Fluid Solutions can help find you the right one. For premium industrial fluids, get in touch with Rotem today, the original Ontario distributor for Master Fluid Solutions! If you’re interested in changing your coolant, cutting fluid, grinding fluid, or other metalworking fluid and require more information, call us! We’re happy to provide more information about the industrial fluids supplied by Master Fluid Solutions and help you make an informed decision about the fluids you use in your shop.